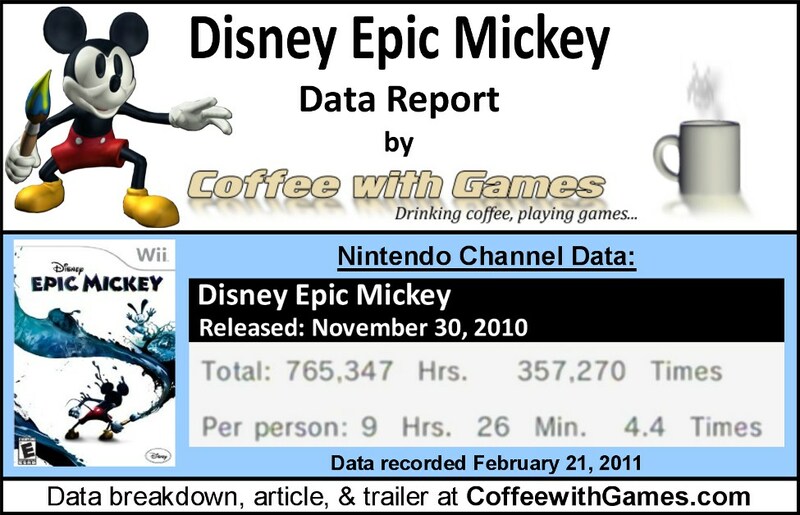 We last looked at Disney Epic Mickey's game-play hours the week they debuted on the Nintendo Channel, on December 27, 2010. Just about 2-weeks after I posted that report, it was reported that Disney Epic Mickey had sold 1.3 million copies its first month, basically being all of December 2010 considering it released the very last day of November. How many hours have Wii owners been painting in Mickey's world during the 57 days reported since the last report? Let's take a look! 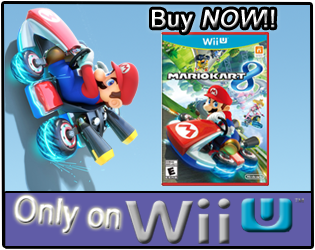 Disney Epic Mickey now has 81,197 Wii owners reporting their game-play hours through the Nintendo Channel. How many more players are reporting play-time data for Disney Epic Mickey since the debut hours report? Well, Disney Epic Mickey has seen an increase of about 71,557 more gamers reporting game-play data through the Nintendo Channel, since the hours from December 27, 2010. Disney Epic Mickey now has 765,347 Total Hours of game-play reported, an increase of 687,263 Total Hours in the last 57 days reported. The average play-time for Epic Mickey is 9 Hours 26 Minutes "Per person" reporting data, which is an increase of 1 Hour 19 Minutes since the debut game-play hours. Disney Epic Mickey's average play-time per session is now just over 2 Hours 8 Minutes. Disney Epic Mickey's Amazon.com sale rank is #108, and it is currently selling for $43.99. The Disney Epic Mickey Collector's Edition Amazon.com sale rank is #1,834, and is currently on sale for $55.57. Disney Epic Mickey's "professional" review score average is now 72.21%, based on 52 reviews on GameRankings.com. Epic Mickey has a 3.5 out of 5 Stars rating on Amazon.com, now based on 211 customer reviews. Disney Epic Mickey's customer review score average is 71.65%, when converted to a 100% scale. I think it's interesting seeing how quickly Disney Epic Mickey sold more than a million copies, especially with the mixed bag of reviews the game received after it released. I'm sure having Disney behind the product helped, and perhaps the way Disney marketed Epic Mickey should be looked at by other third party Wii developers/publishers, to get ideas for marketing their games? Being that my wife and I don't have cable television, I have no idea what(if any) commercials Disney ran, and how long they ran them for Epic Mickey, so if you saw any commercials, leave a comment if you can remember what time/what channel you saw it on perhaps. I think Disney Epic Mickey will continue to see a steady increase in the game-play hours reported, as it appears that the game is being played slowly and the gamers aren't rushing through it. On my last report, CoffeewithGames reader gLitterbug left several comments about his experience with Disney Epic Mickey, and when it came to his play-time he said, "I've finished the game in about 3-4 session and tallying up to a bit over 18 hours." I think seeing the "Total Hours" reported for Disney Epic Mickey being already close to one million game-play hours is very good a third party game with no online element, and I think it will be interesting to see when this game crosses one million Total Hours reported, since many Wii games released will never reach that. While I still haven't played Disney Epic Mickey, I am making progress through my backlog of games, so perhaps I will play this game before the end of the year! Have any of you played and beaten Disney Epic Mickey since the game released? If so, about how many hours did it take you to complete from start to finish? If you have played it and beaten it, have you found yourself going back to play it again to try and make different decisions than you made the first time? My nephew has this game and I played it there. My nephew played it twice, got bored, never touched it again. My brother once. I played it while babysitting and was also very bored after an hour. It may be it's a slow game to get into and I think the numbers reflect this. With only 4.4 times played on avg, but 9hrs on avg probably means half the people play it through (20hr) and half never get into it at all bringing the numbers down (especially # of times played). 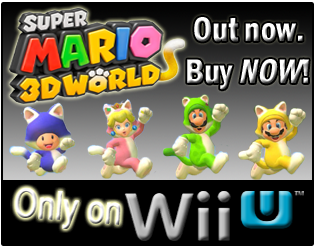 Personally, I look for 10hrs and 10x's minimum before a purchase, making this game a miss for me. I played it for like one hour.. The first time i played it i found a bug with a camera in that hall way at the start of the game where it locked on to a a suit of armor automatically and not the spot above the door so I could not open it. I had to restart the game with hard reset and that spoiled my mood since then. I have not played it for 2 months and i only got about an hour in after I had to reset. I've already said more than a bit about Epic Mickey when it just came out and I beat it, so I'll keep this short. After finding out a few things about the choices and how they influence the game ending, I've been a bit disappointed with that I have to admit, but I do think that is something that comes from working with a franchise like Mickey. You just can't go certain ways. I've started a second playthrough back then, but didn't get far, as there's so much in my backlog and currently all I play is Left 4 Dead 2 online with friends. Still, I'm very glad the game sold well and hope Spector can improve on it greatly in a sequel or gets to make a Ducktales game or one with Oswald or whatever actually. Bought the game pretty much based on Spector's involvement and seeing some of the things he said in interviews, it seems I was right about a few issues with the game that they just couldn't get done in time or had to change for some reason. The worst thing they did for their audience was probably the camera issues and not giving you a better control over it should it fail and that the early parts of the game are the least interesting and not so beautiful ones. Which as one can see from the comments turned off some people right away. Since I was massively stoked for the game, that was nothing make me stop playing, so I enjoyed it all the way through and I probably have dodged any big bugs in the game apart from a huge drop in fps I had at a certain time. "Personally, I look for 10hrs and 10x's minimum before a purchase, making this game a miss for me." Is that for single-player games only? Like if a game has a multi-player function, does that factor into the 10hrs 10x's minimum, or is that only for the game's single-player campaign? "I had to restart the game with hard reset and that spoiled my mood since then." That's not cool! Hopefully the next time you play it, your experience with the game goes smoothly and you can enjoy it for how Spector and the development team was hoping when they designed it. Hearing so many people talk about the camera issues in the game makes me wonder how it was missed in the Quality Assurance testing...it seems like that would be one of the first things the developers/players would experience when playing the game. As for your backlog, are you trying to get through it before buying anything new, like my New Year's Video Game Resolution? If so, hopefully you can accomplish that...I'm doing decent with mine, and have held off on buying any game since the first of the year. Thank you all for the comments/feedback on your experiences with the game! If anybody else has thoughts/comments on Disney Epic Mickey, please leave a comment letting us know what you think! I'm sure the camera issue was well known, but I have a few suspicions about how development of Epic Mickey had a few issues, especially after a final release date was anounced. I think they took on a LOT of contractors to get things done in the last few months and had to juggle with a few things and in the end just ran with what came out. As I've said plenty of times, there's indicators in the game of what was intended to be, but for some reason ended up another way. Spector did comment on a some things in a recent interview and that were things I was sure they had planned initially. Like areas not being solid state and remembering how you left them. Spector did tout this feature before the game released too, saying how much stuff they record about the player's behaviour and all, but I'm sure it ended on the cutting floor due to certain circumstances. Same goes for the limited paint/thinner system. As it is now in the game you can just paint and thin to your hearts content and since there is no solid state, get as much paint and thinner as you need. Which renders the availability of paint and thinner in shops to buy useless. A reminder of how that was meant to be limited, as Warren said in an interview. That you'd have to decide if you want to spend resources on helping people or not. Anyway, it's all just me looking and pondering what was meant to be, but I'm sure I'm not far off with most things. It's just too obvious if you piece together interviews from Spector and the hints in the game itself. Still, the game has a certain magic and feel to it that makes it work as it is, but if they had the time to actually polish the game up, it would've been seriously great and not get mixed reviews as all. Makes me hope that now with the big layoffs and turnarounds in Disney Interactive mostly out in the open, they can focus on making the next Junction Point game shine as bright as it can and trust in Spector fully while not throwing out money on poor so-so games nobody buys. As far as my backlog, it's too huge to really go through it before getting anything new at all I'm afraid. Although being out of money makes it easy to not buy anything, but if Steam has games for a few bucks, it's hard to resist. Only games I finish are when it's co-op I play through with my friend on weekends. But even now I'm not going through Lara Croft with him due to Left 4 Dead 2. Kind of bummed looking at how much money I could've saved if I didn't get a few games at all and just played the ones I have, but I guess it's the attraction of the fresh coupled with a good deal.